"I used to be afraid when I walked my sister to school. Entering the pasture and learning to be comfortable around horses is incredibly empowering in itself. 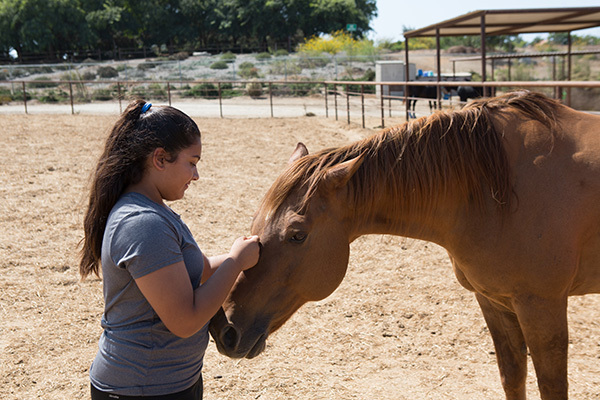 In group Equine Assisted Learning sessions with 8 to 12 students, youth who come through Free Rein’s 8-week program learn valuable skills to help them cope with stresses in their life, such as anxiety, bullying, neglect, fear, and peer pressure. They also learn about communication and trust, how to establish boundaries, the importance of teamwork, how to set and achieve goals so they can achieve their dreams, and crucial leadership skills. 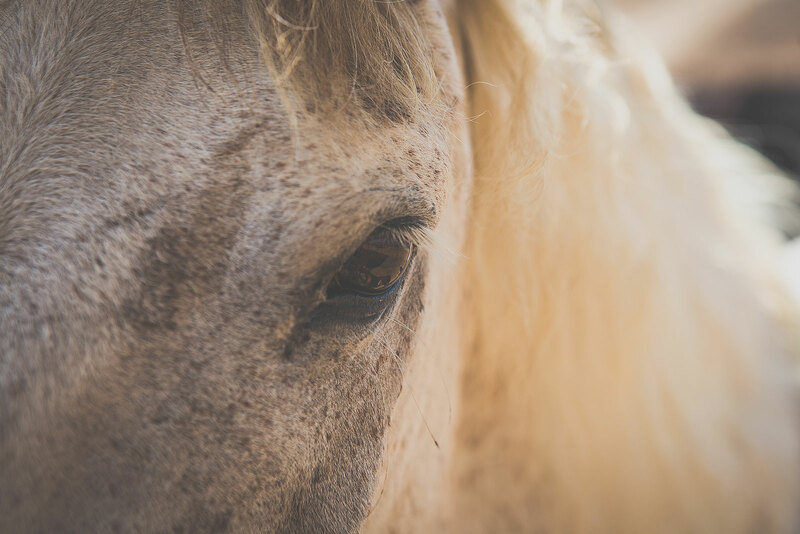 As prey animals, horses exhibit the same symptoms as a person suffering with PTSD. They have a high startle response and are hyper-vigilant. 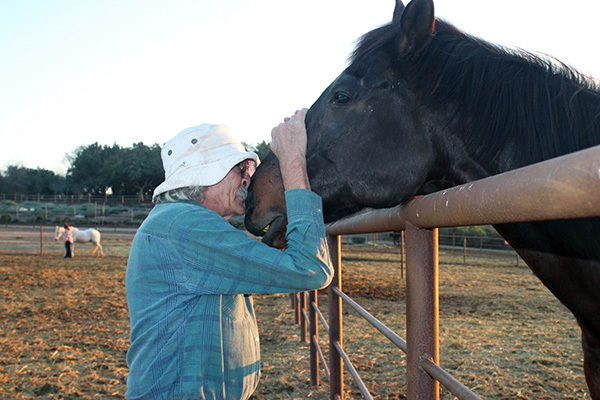 Mirroring these behaviors, the horses help the veterans understand their own behaviors, how their behavior impacts the way they see the world and the people around them, and gives them opportunities to make life changes. Need to invigorate your team, boost morale and relations, and increase productivity? 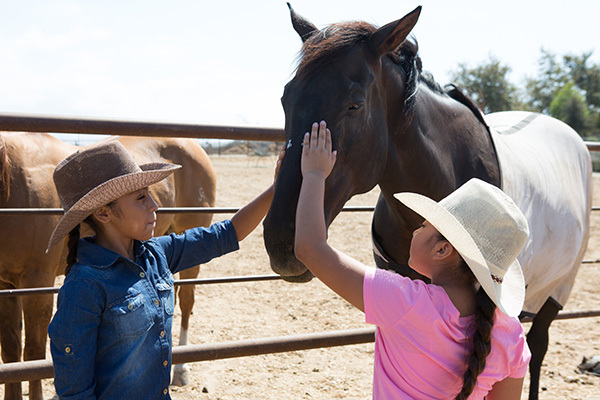 Leave the conference room and PowerPoint presentations behind and spend a day in our pasture interacting with horses. In today’s world, leaders and organizations face multiple challenges and can no longer rely upon traditional formulas to be successful. Our interactive experiential leadership and team development programs are designed to strengthen the social and emotional intelligence needed for leaders and team members to be more effective, self-aware, and accountable. We offer workshops, retreats, and private sessions that utilize hands-on experience with horses to create organizational success. Horses mirror our patterns and emotions. As prey animals, they are hypersensitive to every aspect of their environment, they see and feel every detail while remaining aware of the big picture. This sensitivity horses have to their environment and each other enables them to read human body language and emotions. The way horses react and interact with humans provides countless opportunities for metaphoric learning. 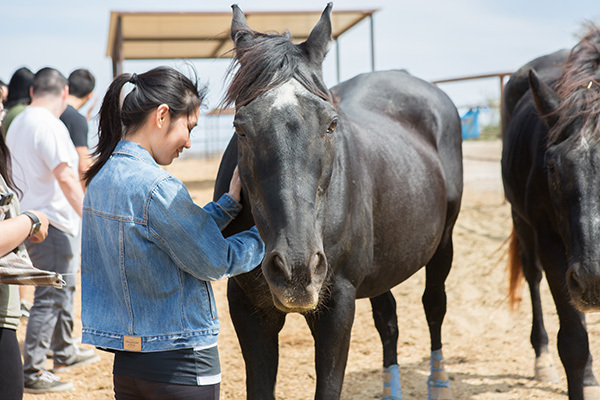 As behaviors and feelings change moment-by-moment, the horses will respond differently. Through activities guided by our Horsepower staff, each individual and group’s experience will be uniquely challenging, allowing them the opportunity to examine their own patterns of behavior and find more adaptive ways to interact and problem-solve. So often people don’t realize what they are capable of. When they learn that they can move large animals that they don’t know, that they can communicate with them, motivate them, and get positive results, they begin to believe in the real possibility of change.